The Bench Project is a multi-artist event to bring eye catching, FUNctional public art to downtown Lapeer. Along Nepessing St. in Downtown Lapeer there are 22 benches, or rather in my opinion, 22 blank canvases. 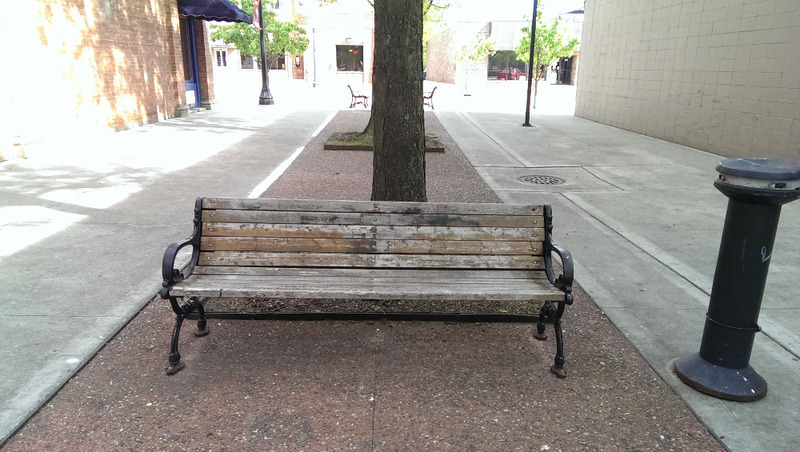 My goal with the Bench Project is to work with a group of artists and volunteers to turn each of these benches into a work of art that will bring people downtown and provide a splash of color to our historic downtown landscape. However like all public art projects there are costs and needs that are involved in making this happen. This is where we turn to you. Each bench must be sanded, washed, and primed before it can be painted. Tarps will need to be placed down around the benches and the molding and metal work around the benches will need to be masked off. Your donation will help cover the cost of the supplies needed to prep each bench before our artists can paint them. Once each bench has been painted by the artist they will need to be varnished to insure that the painting lasts as long as possible. Ideally two coats of varnish is needed for each bench. Priming supplies, including primer for this project will cost about $350. Additional funds will cover the costs of drop cloths, painters tape, brushes, rollers, and any remaining funds will be used to help cover the cost of any painting supplies needed and used by the artists when they are painting their creation on the bench. Why help fund the Bench Project and public art? The arts play a strong role in the development of the community. They help build strong, healthy, and vibrant communities, that increase the quality of life, attract new businesses, create new jobs, and help retain resident's interest within the community. 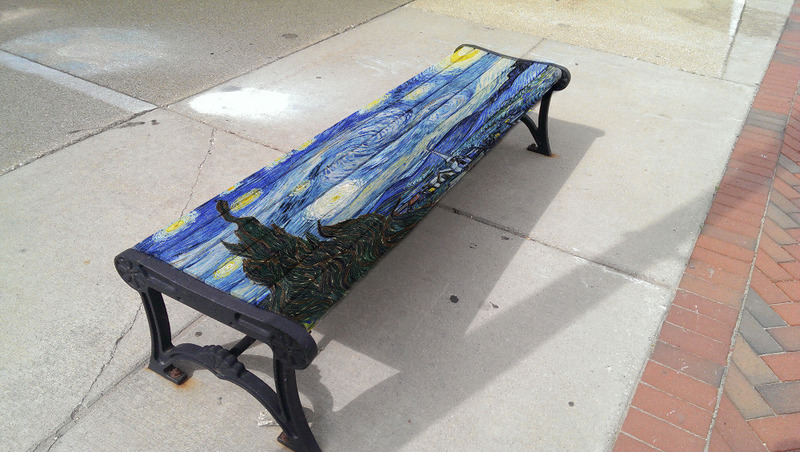 By implementing the Bench Project Lapeer will have colorful, eye catching public art not seen in surrounding areas. Looks very cool. Do you have enough help? How can I be a part of this with my students at Turrill! What a cool, innovative idea! Go Lapeer! Go Jim! What a cool, innovative idea! Go Lapeer! The Optimist Club of Lapeer is pleased to enclose a check for $1,101.50 for the Downtown Bench Project...Keep up the Great Work!!! We wish you much success with your program as we focus on our mission "Friend of Youth in Lapeer County." Great innovative idea! I look forward to the final project. How about painting one Central Michigan University colors!